We have had the awesome opportunity to connect with marketing guru, Jim Connolly. 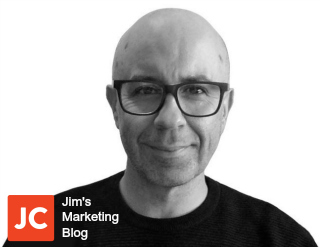 If you do not know, Jim created and now maintains one of the most popular marketing blogs on the internet. He also has built an international marketing business where he has worked with thousands of clients in over 40 countries. This is Jim. Jim is Awesome. We asked Jim to share some of his advice and tailor it towards students, and he was gracious enough to do so! We will stop talking so that you can get straight to his awesome answers. Enjoy! Question 1: What advice would you have for students entering the fast paced, quickly changing world of business? “My advice here is to stay agile. The nature of business is something of a paradox. Allow me to explain. The economy is indeed ever-changing. Plus, new technologies arrive, old technologies become less relevant and what worked 12 months ago may not work today. However, whilst the world of business is in a state of flux, the fundamentals don’t change. For example, trust is just as important today as it was a hundred years ago. Profits are just as important. Delivering value and getting noticed by your marketplace are also just as important as ever. What does change are the economics and the tools: When I started my business in the mid 1990’s, it would cost me $1000 to send a mailshot to 600 prospective clients. Today, I can reach 100,000 or 1,000,000 people, via email, in seconds, for pennies. Back then, my clients needed to be within an hour’s drive of my office. Today, I have clients worldwide, who I work with via video conferencing and email. These are just a couple of the technologies, which have massively impacted the nature of business. Question 2: What are some common marketing mistakes that you see from less experienced marketers? “The most common mistake I see is an unwillingness to stand out and provide a service or product, which is meaningfully different from the competition. Look at the service providers in any industry and you’ll quickly notice something. They offer a similar range of services, make similar promises and charge similar fees. In effect, they become invisible — almost impossible to tell apart. They have camouflaged themselves, among all the others. They then wonder why they attract so few client enquiries and why prospective clients are so fee sensitive or cost conscious. When businesses seem so similar, all a prospective client or customer has (to determine value) is the cost. All things being equal, the lowest price or fee, seems best. Another very common mistake is the failure to invest in the expert help their business needs. They’ll dabble with their marketing, design, copywriting, legal contracts, etc., rather than get it done professionally. They treat these key areas as if it was some DIY project, rather than the lifeblood of their business. As a result, they can be offering a wonderful service or range of products, but no one will know. Question 3: What advice would you have for Maddy and Aaron with Becoming Business? “Here are a few suggestions. Avoid growth-hacks and shortcuts to success. They tend to be costly detours. What you’re looking for it the most direct route, from where you are to where you want to be. So many enterprises fail, because they focus on growth-hacking. Growth-hacks are the business equivalent of fad diets. They promise super-fast results, yet you usually end up (at best) where you started. Make sure to follow Jim on Twitter! Maddy and I want to again give a huge thank you to Jim Connolly for what he has shared. He’s a phenomenal writer and has a lot of experience in the world of business and marketing. He loves interacting on Twitter so don’t hesitate to reach out!